The Fading Colors of Fall – Annoyingly Boring? Today’s prompt was “color”, well since the organizer (or should I say organiser) is an Aussie, the prompt was really “colour”. This time of year when I think of color, I think of the trees, problem is we had an early foliage season and Hurricane Sandy did a number on the trees around here so there wasn’t nearly as much left as I would have liked. 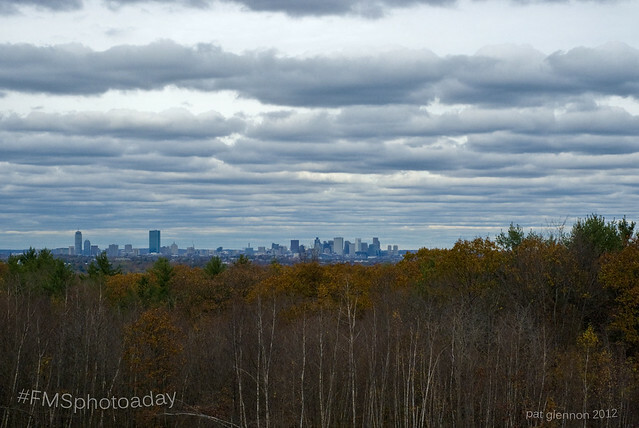 Took this from the Blue Hills Reservation overlooking Boston during my lunch break. I love cloudy overcast days.